Born in a surreal Moscow communal apartment where eighteen families shared one kitchen, Anya von Bremzen grew up singing odes to Lenin, black-marketeering Juicy Fruit gum at school, and longing for a taste of the mythical West. It was a life by turns absurd, drab, naively joyous, melancholy and, finally, intolerable. In 1974, when Anya was ten, she and her mother fled to the USA, with no winter coats and no right of return. 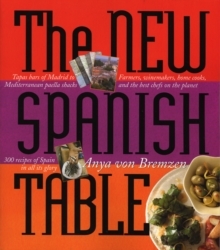 These days, Anya is the doyenne of high-end food writing. And yet, the flavour of Soviet kolbasa, like Proust's madeleine, transports her back to that vanished Atlantis known as the USSR . 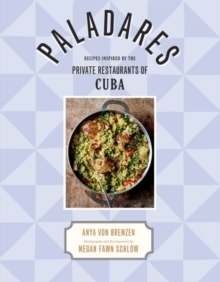 In this sweeping, tragicomic memoir, Anya recreates seven decades of the Soviet experience through cooking and food, and reconstructs a moving family history spanning three generations. Her narrative is embedded in a larger historical epic: Lenin's bloody grain requisitioning, World War II starvation, Stalin's table manners, Khrushchev's kitchen debates, Gorbachev's disastrous anti-alcohol policies and the ultimate collapse of the USSR. And all of this is bound together by Anya's sardonic wit, passionate nostalgia and piercing observations. 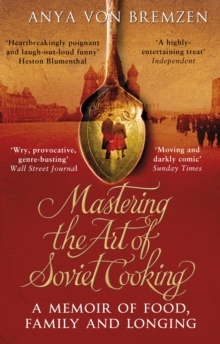 Mastering the Art of Soviet Cooking is a book that stirs the soul as well as the senses.